Looking for a smart and affordable Christmas Gifts this coming Season? 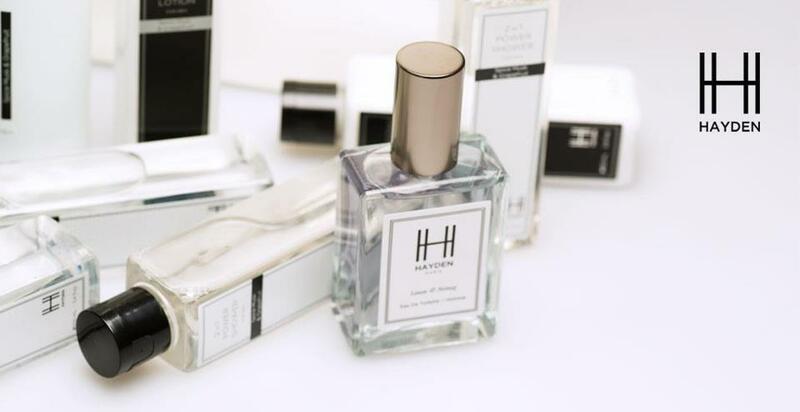 Hayden Paris brings to us 12 Weeks of Christmas, which is an early Christmas countdown of exclusive promos, discounts and lots of freebies! 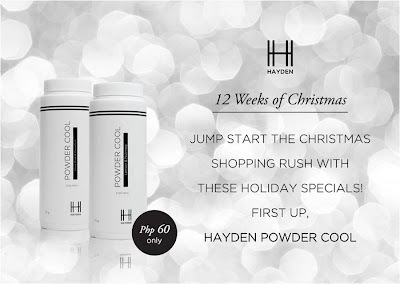 For its week start of promo, they offer Hayden Powder Cool only at Php60.00. Now, that is truly special and very affordable. 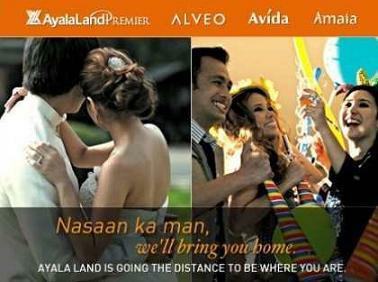 Week 1 of this Christmas Promo is on October 1, 2012 and would be followed week after week. 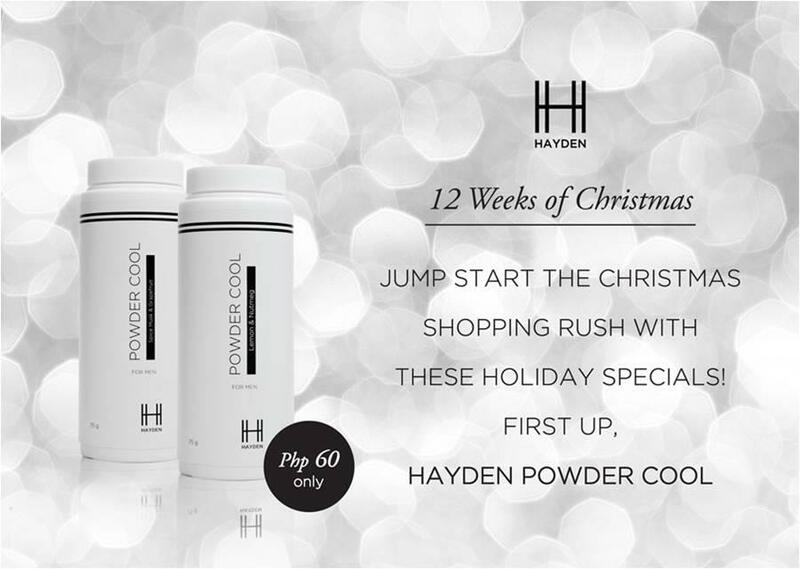 You may visit the nearest Hayden kiosk to avail of these Holiday specials. More Hayden promo here on Fierce Blogs soon! Wow! Mura nga nito ah! Do you think thy wrap too?